It's Saturday, so kick off your weekend with a dog song from Talking Dogs! 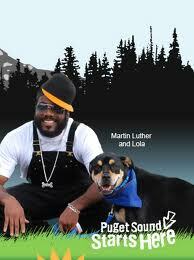 Today's dog song is Dog Doogity performed by Blackstreet. This music video was created to help raise awareness about how cleaning up your dog's poop will improve water quality in Puget Sound. Dog Doogity is a parody of Blackstreet's 1990's hit song No Diggity and you just may find it sticking in your head all day. And no matter where you live, there's a great message here for all dog owners. Grab a dog. Sit. Stay. Relax and groove along to Dog Doogity. Fetch more dog song videos at Talking Dogs for your listening pleasure. Be sure to scroll down below today's dog music video to explore some barking good blogs in the Pet Blogger Hop. Hey Rudy, Hey Jeffie, Jet here. Hi Miss Susan. What a pawesome video. Mom tells humans all the time, it's no big deal to scoop the poop. Hope this song goes viral and helps the cause!